As the vast majority of people know, it is easy to succumb to temptations of all sorts. For many, the enticement of unwholesome foods can lure them into eating in ways that they know are detrimental to their health. In the United States, these temptations and cravings have resulted in a health crisis and today it is estimated that 2/3rd of adults are overweight and 1/3rd are considered obese. There has to be a way to change the ways we eat and more importantly these alarming statistics. Luckily, changing one’s diet can be made simple by utilizing the power of intention and attention. While most people who are struggling to lose weight, or maintain a level of life-affirming health, are probably well aware of the fact that their diets are negatively affecting their wellbeing, it doesn’t stop them from falling victim to the tantalization of fatty meats, fried foods, and sugar laced desserts. 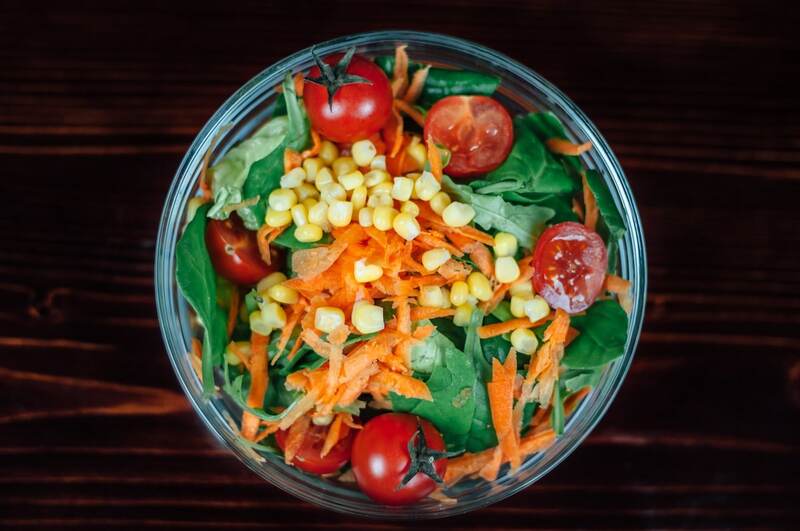 There is no doubting the fact that consuming these types of food on a regular basis is one of the leading contributors to the problematic health statistics in America, yet it hasn’t stopped the unhealthy food craze. Fortunately, within the literature of both spirituality and self-help psychology there is a useful tool that can help create permanent and lasting change. Utilizing the power of intention and attention can assuredly make changing your diet simpler than it is for most. To use this potent transformational strategy, one would first want to cultivate the intention to create a life-affirming behavioral change, and then focus their attention on the positive outcomes they will obtain from that change while subsequently reminding themselves of the negative consequences that come as a byproduct of the unwanted habit. If you struggle sticking to a health conscious diet, overeating, or just can’t manage to drop those few extra pounds your doctor has been telling you to lose, you most likely haven’t utilized the full potential of intention and attention to change your diet. While many of us do periodically make good intention alterations to our eating habits, these changes typically last only a few weeks. Fortunately, by committing yourself to changing your diet with attention and intention it doesn’t have to be this way. The first step towards utilizing the power of intention and attention, with any behavioral change, is to cultivate the intention to do so. This means that in order to revamp our diets, we must cultivate a firm internal desire to create lasting change. Unless we make an unwavering commitment to make dietary changes, the likelihood of us succeeding will continue to remain extremely low. Strengthen Your Reasons for the Change: One way to increase the quality of your intention is to consistently ask yourself why you must do so. You can to this by asking yourself questions such as ‘Why do I need to make these changes?’ and ‘Why is it important for me to change my diet?’ on a daily basis, which will allow you to find powerful motivating reasons to stick to a more health conscious diet. Become Consciously Aware of Trigger: Another powerful thing tool we can do is to incorporate the activity of self-monitoring and journal keeping to help us become aware of the triggers that lead us to eating the food that cause us pain. You should focus on becoming aware of your internal dialogue and determine the instances when you cave into your surface level desires. Stimulus Control and Planning: After using self-monitoring to become aware of both external and internal triggers, we can begin implementing the therapeutic tool of stimulus control and planning. While using the strategy of stimulus control means removing all problematic food from the environments we most frequently spend our time, the strategy of planning helps us when we cannot do so. While these three strategies are assuredly worthy of using, we can use one more to further entice ourselves to change. One of the most powerful steps that you can take to make dietary changes permanent is to research and learn about the positive and negative aspects of individual foods. By taking the time to delve into how various types of food affect both your short-term wellbeing and long-term health, you’ll be eager to exchange fatty meats and fried foods for more wholesome options. To show how this is done, we can look at just one of a seemingly endless number of studies that we use to verify our decision to change. The study determined that individuals’ risk of death rose 13% with each additional daily serving of red meat they consumed (The average portion size of the meat was 3 oz.). The impact rose to 20% if the red meat was processed. Some typical processed red meat options are hot dogs, bacon, and cold cuts. Lastly, the findings of the study tell us that when we are willing to substitute red meat with equivalent servings of more life supporting protein options, such as fish and poultry, we can expect to see enormous health benefits. By substituting a daily portion of red meat with fish or poultry, individuals in the study reduced their mortality rate risk by 7% and 14% respectively. While the results of this study may not completely make one overhaul their entire diet, they can help to start the process of shifting individuals’ beliefs about the positive and negative affects of food. By delving into the scientifically proven affects of sugar, fast food, and red meat, while also researching the positives of lean proteins, fruits, and vegetables, your beliefs about eating will assuredly change overtime. As you can see, the power of intention and attention largely comes down to creating powerful associations of pain and pleasure with certain types of food. By cultivating the intention to change your diet and then using the power of attention to change your beliefs, you have a tool that will assuredly help you make permanent dietary changes.